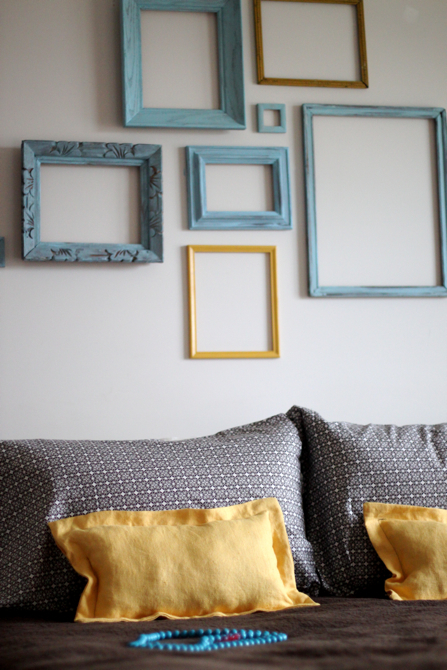 It took two visits to a yard sale and my mother's basement finds to gather quite the collection of old frames, in just two days. I was on a mission since Bobby was out of town for the weekend and had little time to know what in the world I was doing. 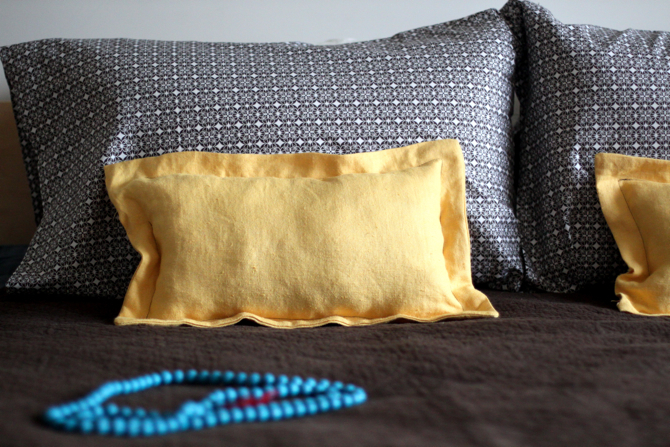 Pillows had been made prior although Caroline dutifully stuffed the yellow linen (my Granny's fabric) throws hastily for me. The girls, of course, were in on the anniversary surprise. 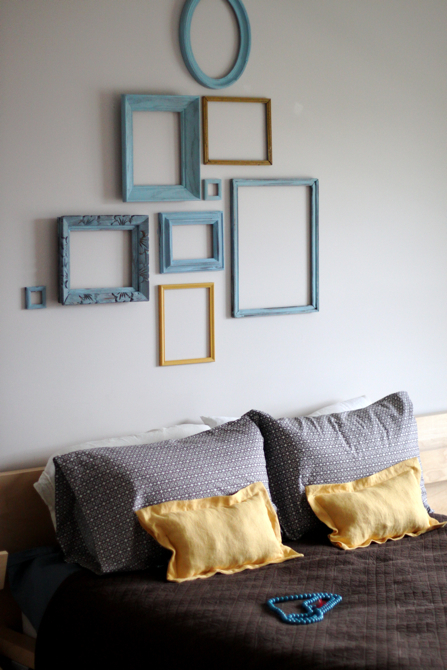 I had always liked this idea, so spending a total of $5 on old frames was pretty encouraging. Gather a variety of sizes and shapes. You really want at least one oval. 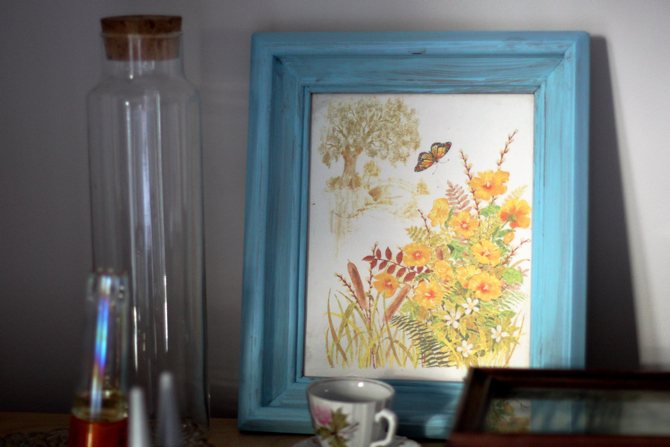 Thrift stores are notorious for having old frames--just get rid of the old art. The more variety in sizes and style the more visually stimulating. 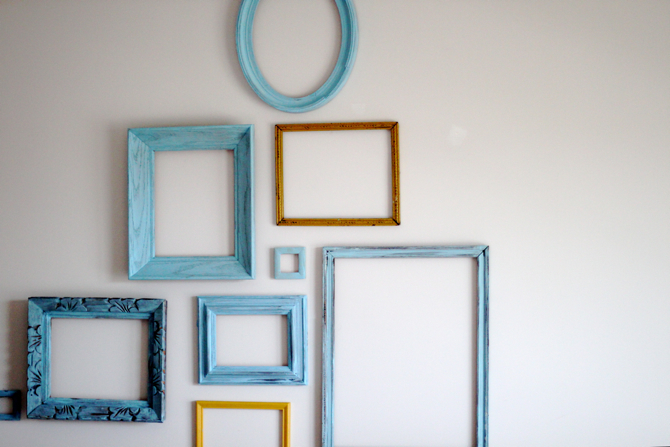 Paint wooden frames. Sure you could use spray paint with a semi-gloss, but I had to use what was available when you have four sleeping upstairs: craft paint. And hey, it worked. My suggestion: paint some with two coats and simply "dry brush" others. That is painting with very, very little paint on the brush. 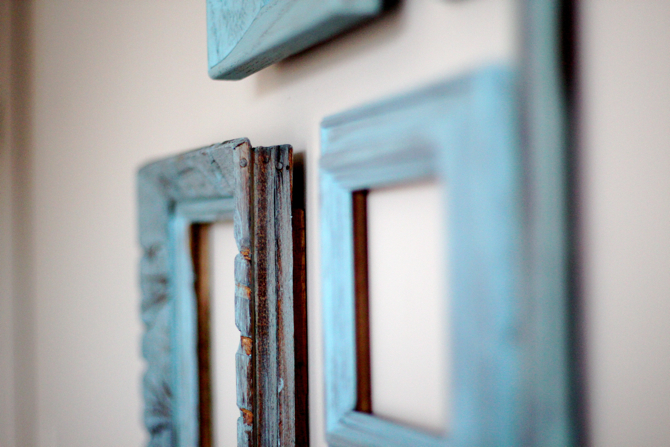 It will pick up on the texture of the wood while revealing the frame's age. Throw in an accent color here and there. Mine were already yellow. Perfect.